Full-scale plumbing service for both the residential and commercial sectors is another of the many areas of expertise provided under the Tuckey Mechanical Services, Inc. umbrella. This has earned Tuckey Mechanical Services a sterling reputation for excellence in plumbing design and installation in Harrisburg, PA and all across the six-county South Central PA region. And with a full staff of Master Plumbers, Journeyman Plumbers, and Plumber Apprentices, we are more than ready to take your call. *For immediate plumbing service, call us at (717) 249-1535. 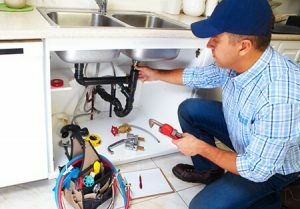 You never know when you might need prompt and reliable plumbing repairs. Our experienced plumbing team is always on call for emergency plumbing repairs and fixes —24 hours a day, 365 days a year. You can rest easy knowing that Tuckey Mechanical’s skilled team of plumbing experts in Harrisburg, PA and the Central Pennsylvania region can quickly and efficiently develop a solution for specific plumbing issues, even repairs! Request immediate service for your plumbing needs by contacting us today! Tuckey Mechanical Services, Inc. offers creative and unique solutions for a wide variety of mechanical needs of homes and businesses, and our reputation for quality in plumbing in Harrisburg, PA continues to grow. We carefully consult with you to ensure that our team designs and installs a plumbing solution that will provide peace of mind and reassurance. We encourage and value your input, and we’ll do our best to incorporate your ideas into your plumbing system design. 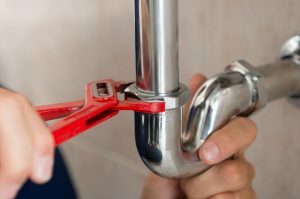 Tuckey Mechanical’s reputation for plumbing in Harrisburg, PA and the Central Pennsylvania region is one of impeccable service and commitment to you, the customer. We regularly serve customers in and around the South Central Pennsylvania region, including York PA, Chambersburg PA, Carlisle PA, and Harrisburg PA. Please call us for information on our greater service area. Our phone number is 717-249-1535. You can also make a service inquiry by filling out and submitting our convenient online contact form. "Any time we have HVAC or plumbing issues, we call Tuckey. Dave W. came this morning to check our sump pump. He was pleasant, smiling, and professional - covered his shoes with booties and got the job done competently with helpful explanations. Over the years we've come to count on Tuckey and their fine service personnel. Highly recommend."